For the second round of espresso shots in the 'Couture Coffee' series I stopped by the Emporio Armani Caffe in Milan for a quick cupa. 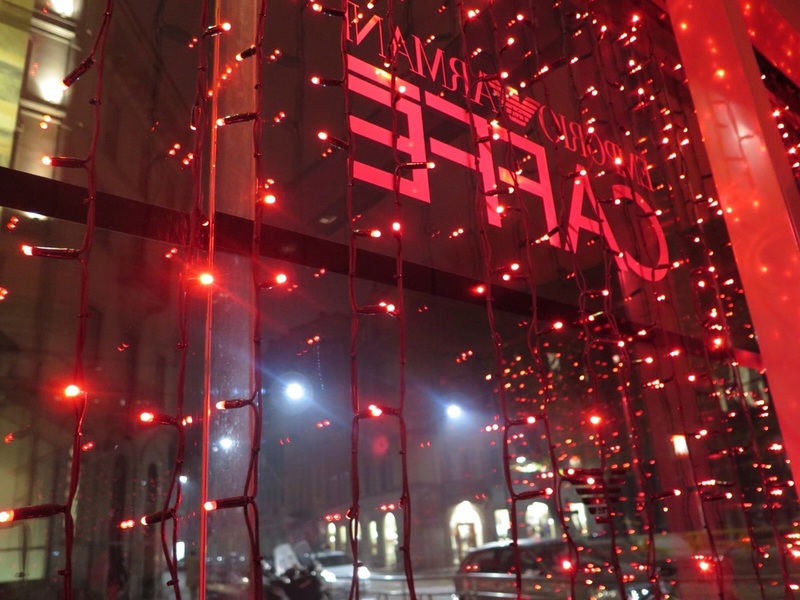 Situated in the heart of the fashion district in Milan near San Babila, its hard to miss the glittering red lights draped from the windows. I took a seat in the glass walled area and checked out the menu. 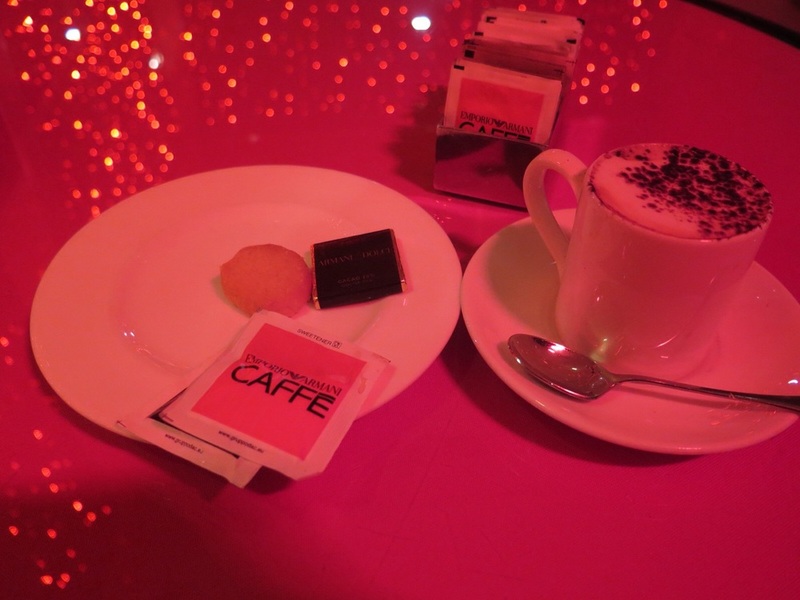 I ordered a 'Marocchino', an espresso with hot milk and chocolate powder and scoffed the complimentary chocolate and amaretto. Feeling the vibes, I bopped along to the deep house that played, watched the men in suits talk business and took some sneaky pictures on the sly. The coffee, at €4.50 was pretty tasty and the atmosphere was nice and chilled with a good soundtrack. I left feeling that I needed a well tailored suit in my life and a pair of shades. I put the Armani sugar packet in my pocket as a souvenir and was on my way.